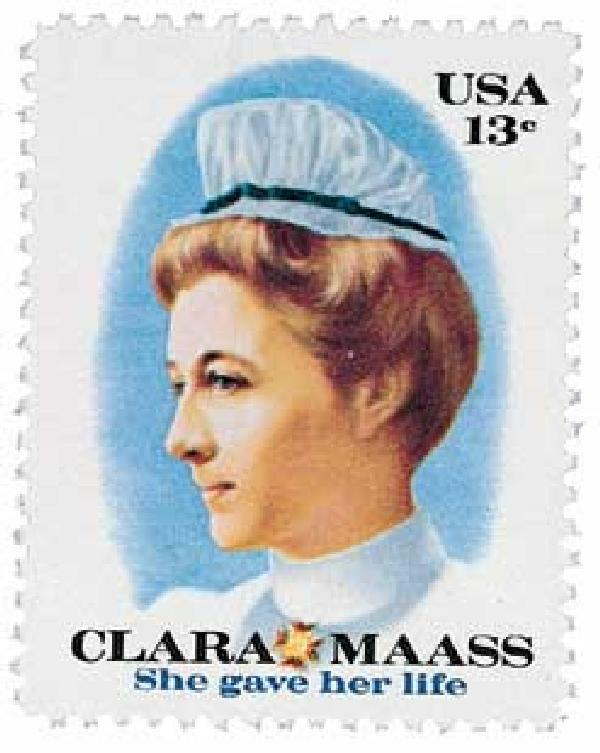 Born in East Orange, New Jersey, Clara Maass gave her life during a scientific study to determine the cause of yellow fever. In April 1898, Maass left school to serve as a nurse in the Spanish-American War. In 1900, she returned to Cuba to aid the effort to discover the cause of yellow fever. For the sake of science, she allowed herself to be bitten seven times by mosquitoes infected with yellow fever. She died at the age of 25.